I’ve actually been getting a bunch of emails from all over the world asking me a few questions: How did I pick Belize? How easy was it to get a job? Why have I stayed? What do I love and what would I change? Well, as you can imagine, this is a long and tedious story. So I will break it into a few parts. Part One: Why I came to Belize. I grew up in Ridgewood, NJ (with no accent I’ll have you know and no, I have not met Tony Soprano or Snookie). I went to college in Massachusetts but chose to do my junior year in London (UCL). Best move I’ve ever made. After sticking to the East Coast, USA all my life, I was officially bitten by the travel bug. To make a long story short, I graduated university in 1995. I worked in two different places (PriceWaterhouse Coopers as an actuary, Lehman Brothers in Human Resources/Compensation and then in Corporate and Emerging Markets Bond Trading). I left in May 2006, a bit burned out and ready for a long vacation. The plan: take the summer off and then straight back to Manhattan to find a job. (I wish I had “called” the financial crisis but I am far from being that clever. So please stop sending me emails implying that I was a crook who is hiding from the SEC in Central America. I lost all my money just like the rest of you). 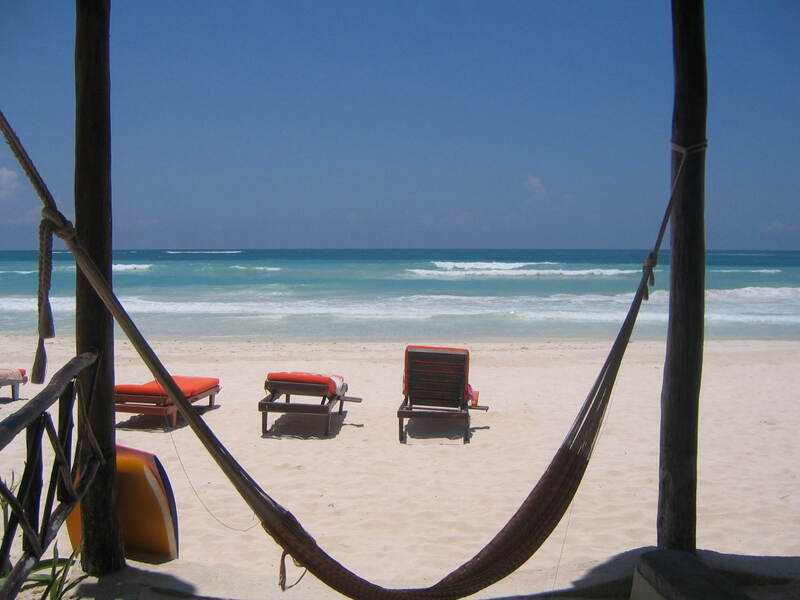 I spent a week in Tulum, Mexico at “Bikini Bootcamp” at Amansala Resort. A bit of exercise and supposedly yoga (I skipped each and every yoga class) on the most beautiful beach I’ve ever seen. If you haven’t been to Tulum yet, I insist that you go. Particularly before it gets ruined with the planned international airport. At one of the many cenotes in Tulum. I spent a few weeks in London, Paris, Northern Italy (Padua, Verona, Venice, Milan) and Sicily with friends. My last week of my allotted vacation time? My friend and I randomly chose Belize. A very good friend had visited on her honeymoon. And her husband had a “You’d Better Belize It” t-shirt. We stayed at Changes in Latitudes Bed and Breakfast (http://ambergriscaye.com/latitudes/) that we found based on the stellar Tripadvisor reviews and had the best time ever. We loved it. The people, the night life, the restaurants and bars, the snorkeling, everyone we met was our new best friend – instantly. The bartenders, they loved us! The dirty rastas on the beach, they loved us! The kids selling jewelry, they loved us too. We even thought about paying $300 usd each to extend our stays 2 DAYS. Ridiculous. Picture of Changes In Lats circa 2006. It’s even cuter now (but that is for another blog entry). As soon as I got home, I weighed my two options: look for a job or go back to Belize. I couldn’t stop thinking about San Pedro…and the choice was easy. I had been on lots of beach holidays…Vietnam, Thailand, Cape Cod, the Jersey Shore, the Outer Banks, Florida (both coasts), Puerto Rico, St. Maarten, Grenada, Majorca, Sicily, the South of France, Aruba, Cozumel, Cancun, Curacao, Dominican Republic, Costa Rica, Bahamas, St. Lucia, Turk & Caicos, Trinidad, Costa Rica, Roatan…and I’ve never met a beach I didn’t like. But Belize was my first vacation to a place that I did not want to leave. To a place I could move to. A place that I couldn’t stop thinking about as soon as I got home. So I rebooked immediately. Tried it alone for 3 weeks in October, 2006 (again Changes in Latitudes)…then again for two weeks in Dec 2006 (I also tried a few days in Caye Caulker…zzzzzzz). I was hooked on Ambergris Caye. I came down for 2 months in Feb/March 2007 and rented a condo to make absolutely sure that I could live in San Pedro. The love was still there. In fact, after 2 months, I loved it more. It just felt right. I moved here permanently in April of 2007. I packed up my rented Manhattan apartment, put everything in storage, moved down to a condo in San Pedro (at the Belize Yacht Club) and gave myself one year. Sure I was nervous, but what the heck…I was only 32 and it was only one year. I even sold my car. Man, I loved that car. I wanted no pressure to find a job at all. I knew that the careers in San Pedro were relatively limited…real estates, buying your own business, hotel/bar management and I wanted time to figure out what was right for me. My savings would last me for a while (Lehman stocked hadn’t tanked yet). (I would suggest $15-25,000 usd so that you can live very comfortably. A bit less might do…but I’d obviously go higher rather than lower.) I packed up my cat and all my summer clothes, got onto the plane with two giant suitcases, lots of books and magazine…and until December 2007, I was on vacation in my new home, San Pedro, Belize. Wow, you HAVE visited mant places! Love it! And now you make me want to come back to San Pedro even more! I’ll just keep coming back to your blog and get lost in your words for now! I love this! I feel exactly the same way and have been working on my plan to move there as well. In between jobs this winter I came down and stayed on the island for about 5 weeks and since May of 2010 I’ve been there 8 times now. So I feel you! I’m still in Manhattan however, but plan on moving there in about 2-3 years after I get my marketing consulting business up and running. I’m excited to keep reading and hear your stories! Thanks for sharing this with us! I can’t wait to hear more! Sorry for the delay…will be posted tomorrow!